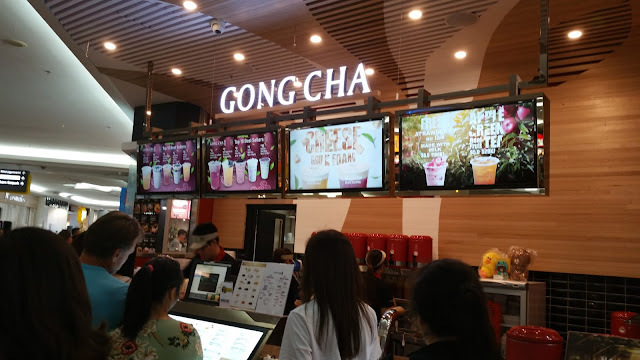 Being a regular at Sunnybank, I haven't failed to notice the long overdue closure of Easyway and the flashy new opening of Gong Cha in its place. Quite a few close companions of mine swear by the tea at Gong Cha, but my personal preference would still be for Coco which has opened its doors in Sydney but not yet come to Brisbane. Arriving a little early for an appointment last Saturday, we noticed that the line wasn't as long at Gong Cha as it we were now used to expecting, so my companion convinced me to go grab a drink with her. Finding a table to sit down, my companion was gone for about 20 mins getting the drinks, which is considerably longer than Chatime, but still within reason. 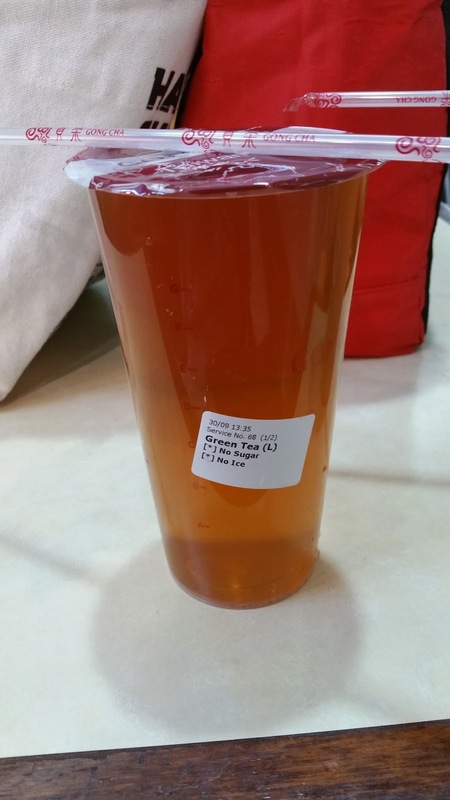 She ordered an Earl Grey Milk Tea half sugar no ice, whereas I had a Green Tea with no sugar no ice. The first thing we noticed was that neither of the drinks were remotely cold at all. 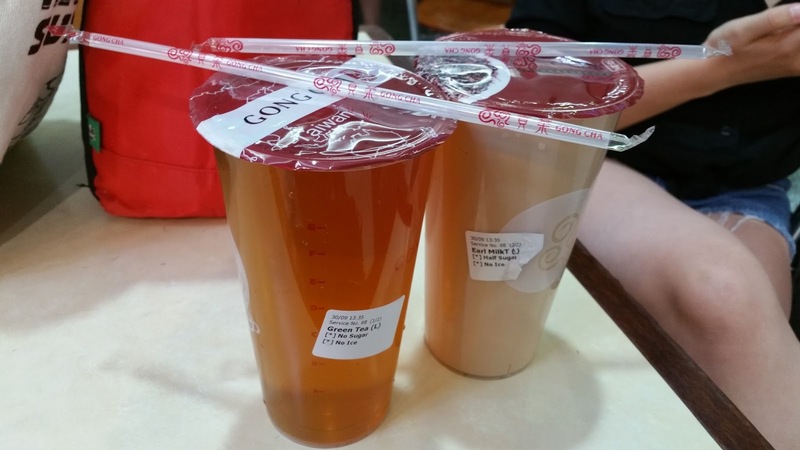 Whilst we did order it without ice, other tea bars usually shake it up enough to reasonably chill the drinks, whereas these two came lukewarm. 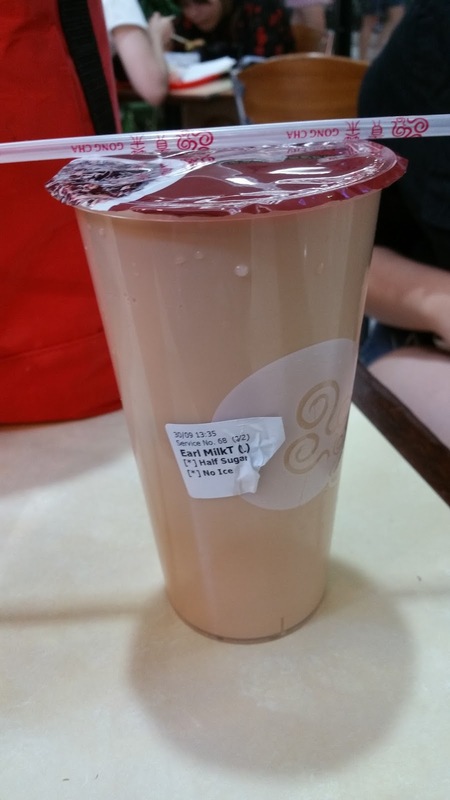 My companion found her milk tea to be extremely rich and creamy though lacking in the fragrance department. My tea though was very strong and bitter which I did appreciate, though would rather it have been better chilled.